For alumni members, opportunities span from helping charter new chapters to selecting scholarship recipients. The more you get involved, the more you figure out what you want to be involved in, and what you can take back to your local chapter. We all have the same common goal and a lot of value is behind that. The more we grow, the more we can do for you and your local FFA chapter. You can run for national council offices from the state to the national level, so it’s a leadership component as well. Why not take a stand to represent your portion of the state? 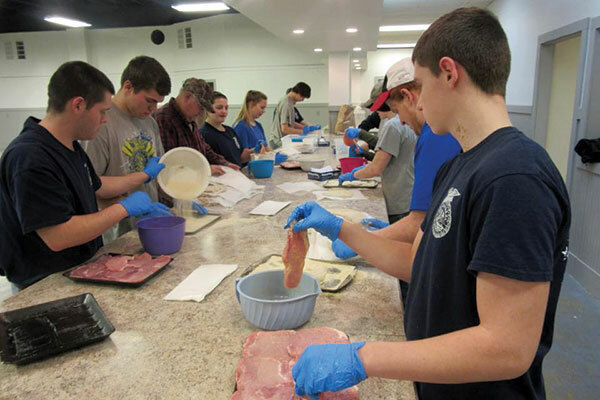 It’s the feeling that you’re helping the FFA and being a difference in someone’s life. Whether it’s time or money you contribute, every minute or dollar is going toward preparing youth with leadership and career skills. As you get older, you realize people helped you along the way and you learned from what they taught you. If you grew up in FFA, you know that to be even more true. Do the same for the next generation.